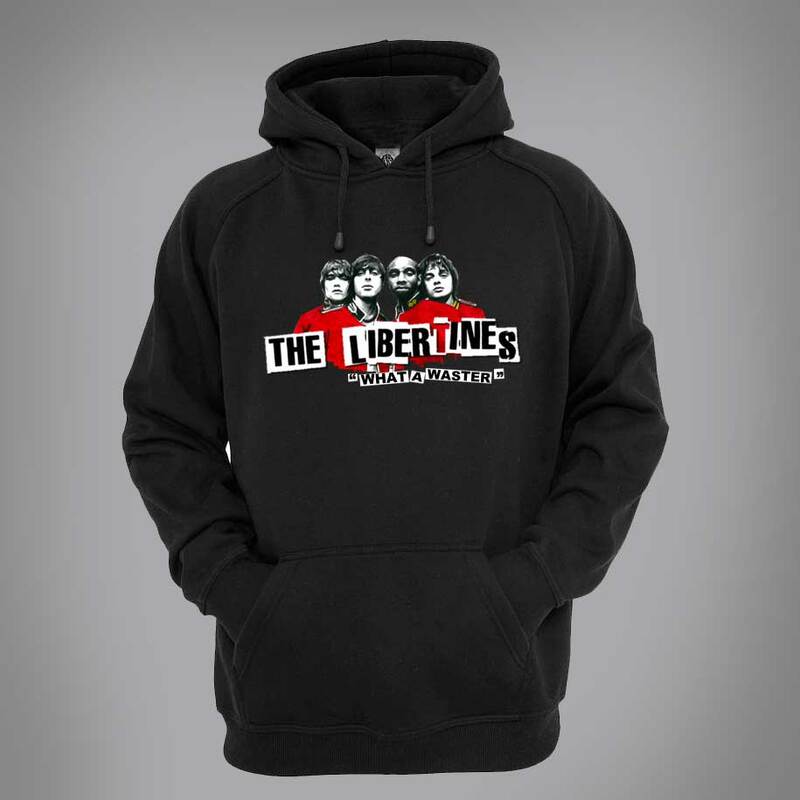 The Libertines Hoodie featuring original drawings by Mark Reynolds. This hoodie is available in a wide range of colours and sizes and is printed using the newest direct to garment printing methods. The Libertines are an English rock band, formed in London in 1997 by front men Carl Barât (vocals/guitar) and Pete Doherty (vocals/guitar). The band, centred on the songwriting partnership of Barât and Doherty, also included John Hassall (bass) and Gary Powell (drums) for most of its recording career. The band was part of the garage rock revival and spearheaded the movement in the UK.